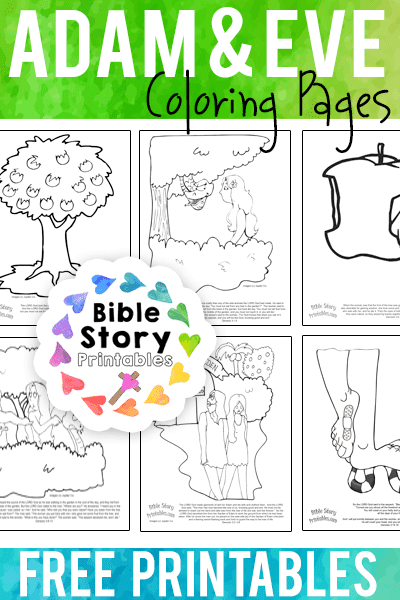 This is a free Bible coloring page of the fruit for the tree of knoweldge of good and evil. Children can color a picture of that tree. Here is a coloring picture of the serpent entering the garden to deceive Eve. He tempts her to eat the fruit from the tree of knowledge of good and evil. A free Bible coloring page of half eaten fruit. She then shares the fruit with her husband Adam. This is a coloring picture of a fruit that has been bitten into. When God found them in the garden and asked what they had done, Adam blames Eve, and Eve blames the snake. They are each given consequences for their disobedience. Adam and Eve have to leave the garden. This is a coloring picture of the two of them exiting in sadness. God doesn't hand out the consequences without providing hope for the future. He tells Adam and Eve of a promised savior who will once again restore their relationship with God.